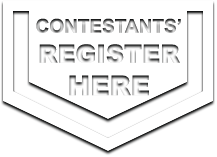 If you believe that a participating contestant should be disqualified due to any reason including but not limited to criminal record, reputation, illegal behaviors, violation of the pageant rules and etc. You may be interested to fill out this report form. Please include all available documents to support your claim. The organization may not consider claims that are based on hearsay only. Thank you! By submitting this report I verify that the information listed above is true and correct, to the best of my knowledge.